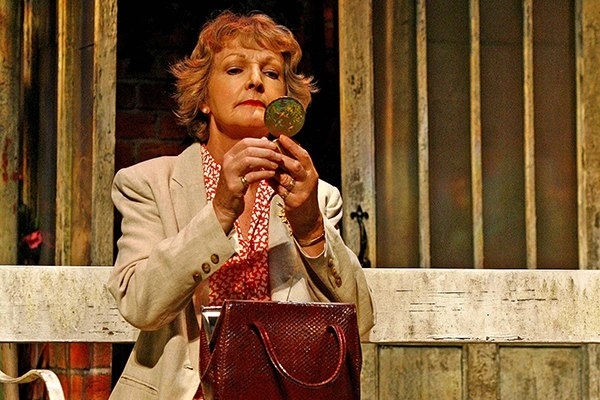 Everett, a dramatist new to me, has come up with that increasingly rare commodity, a boulevard comedy that is both entertaining and affecting … This is a funny, touching and genuinely thought-provoking comedy and one that surely deserves a West End transfer. Polly Adams as Ruth with a lawn mower. 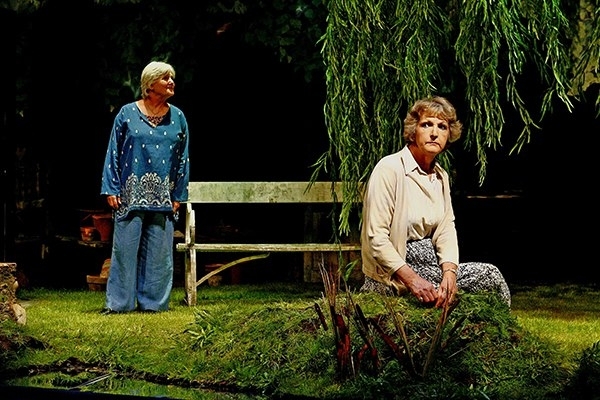 Polly Adams & Penelope Keith as Ruth and Grace by the stream. The stage play “Entertaining Angels” began life by opening the main season at The Chichester Festival Theatre and playing to a record-breaking 26,000 people in just over 3 weeks. 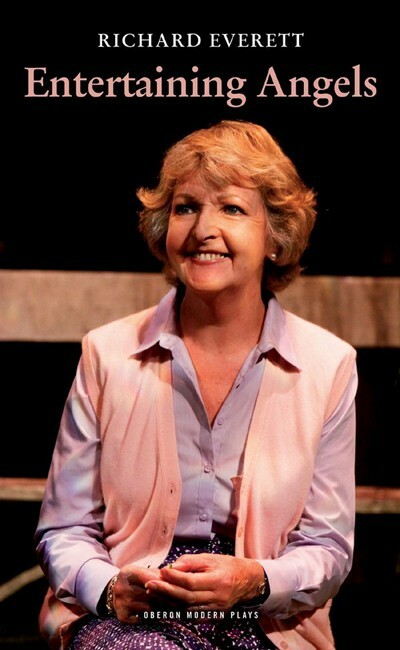 The original production starred Penelope Keith, Benjamin Whitrow, Polly Adams, Caroline Harker and Abigail Thaw. 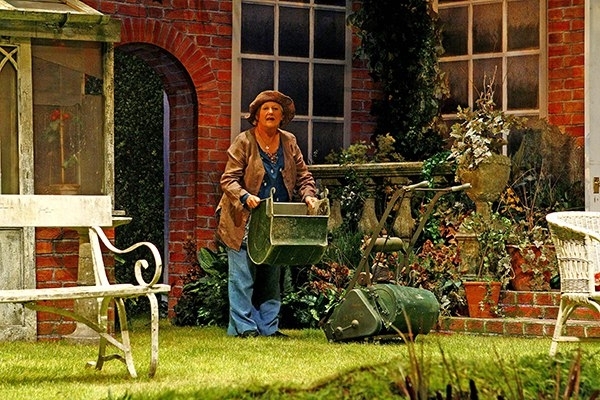 It was produced by Michael Codron and directed by Alan Strachan, with a magical set designed by Paul Farnsworth which had real grass and flowers, and an actual stream flowing across the apron stage! Following the sell-out UK national tour playing to over 100,000 people, this much-acclaimed play has been published and performed all over the world including Switzerland, Israel, South Africa and New Zealand, and has enjoyed great success with amateur companies with over 100 productions…and counting! or buy the published text! Everett handles the comedy well – Grace’s bon mots are very funny … Keith gets all the best lines – and milks them with miraculous comic timing. This deceptively profound comic play was thoroughly absorbing and entertaining. It ... surprised and delighted with its ability to shake preconceptions.